Fees associated with filing industrial design applications in Austria, as well as other design fees, are available in the fee calculator. Multiple class design application is possible in Austria on the condition that all designs are in the same class of the Locarno classification, and their number does not exceed 50 designs. The validity term of an industrial design patent in Austria is 25 years from the date of filing on the condition that renewal fees are paid. The industrial design application in Austria undergoes the formal examination only. The signed copy of the POA is sufficient. It should be provided along with an application. It is not usually required to submit the priority document; however, it may be requested by the Patent Office. If the disclosure of the information on the industrial design has been made by the author or his legal predecessor within 12 months before filing date, it shall not disprove the novelty of industrial design. No official grant fee is required to be paid. Validity term of the patent for an industrial design in Austria constitutes five years as of the filing date. This term may be renewed four times up to a maximum of 25 years. An application for renewal must be filed 12 months before the expiration date of the registration to avoid late payment fees. Late payment is possible within a six-month grace period by paying a corresponding surcharge. 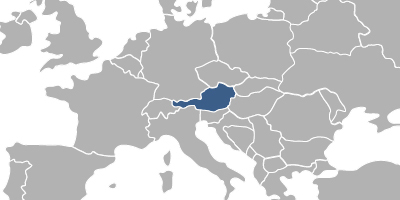 Foreigners should perform an industrial design prosecution in Austria through an agent, a registered Austrian patent attorney. 1. Online Search Databases: Austrian Designs, Community Designs (EUIPO). 2. Industrial design protection in Austria may also be obtained via registration of a Community Design.